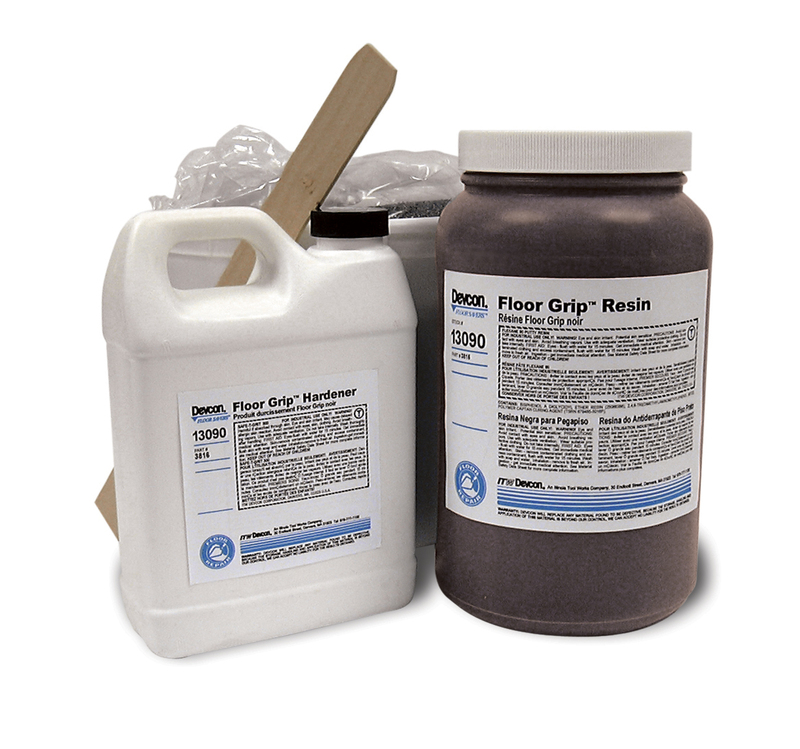 Heavy-duty epoxy compound with silicone carbide granules, for an exceptional non-skid surface on walkways, ramps, loading docks and stairs. Brushed or rolled on, silicon carbide granules are then broadcast over the surface to provide a superior non-skid finish. Packaging information is provided on your left.